PGE's original Electric Avenue - located at its World Trade Center headquarters - has charged more than 1.25 million miles of electric driving since its installation in October 2015. Portland General Electric and the City of Hillsboro have announced plans to build a new Electric Avenue charging hub in the Sunset Esplanade shopping center, located at 2105 S.E. Tualatin Valley Highway near Southeast Cypress Street. The new facility will include six charging stations, including two Level 2 and four DC Fast Charge stations. "The decision to add public electric vehicle charging infrastructure in Hillsboro is another example of PGE's commitment to a clean energy future for all of us," said Hillsboro Mayor Steve Callaway. "We're grateful to PGE for partnering with our city to achieve our sustainability goals and City Council priorities." PGE will own and maintain the new charging site at no cost to the city. Hillsboro joins the City of Milwaukie as the second location identified in PGE's Transportation Electrification Plan that calls for up to six Electric Avenues to be installed. 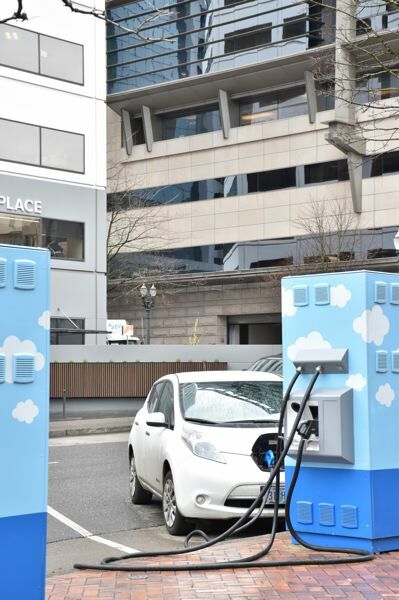 PGE's original Electric Avenue — located at its World Trade Center headquarters — has charged more than 1.25 million miles of electric driving since its installation in October 2015. "This new Electric Avenue charging hub is part of our larger effort to increase access to electricity as a transportation fuel for our entire region," said Maria Pope, president and CEO of PGE. "With the full support of the Hillsboro City Council, this partnership with the City of Hillsboro is an example of how working together as a whole community is critical in achieving a clean energy future." A standard Level 2 charge at the Hillsboro location will cost $3, and a DC fast charge will cost $5. PGE customers can opt for a subscription to use all Electric Avenue stations across the metro area for a flat fee of $25 per month.